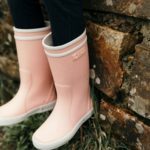 The brand has for over 157 years designed rubber boots with inspiration from the landscape. 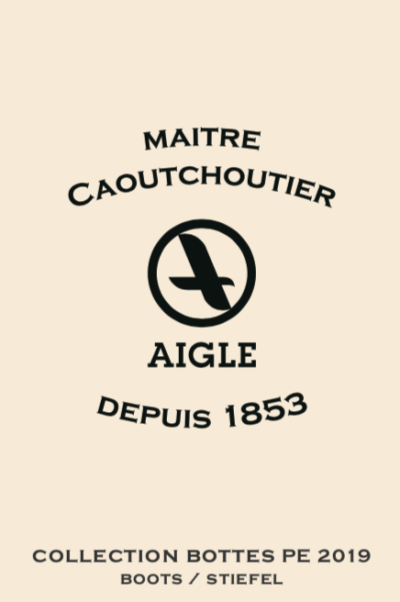 Aigle was founded in France in 1853 by the American Hiram Hutchinson. AIGLE (‘Eagle’ in English and pronounced ‘Eh-gleu’) today stands for uncompromising quality combined with a unique design and craftsmanship. Most of Aigle’s rubber boots are still handmade in France and with the best natural rubber material. Aigle’s roots penetrate far into the ground and deep into the sea. Aigle’s MTD waterproof system, makes the products water resistant and breathable. It is focused on an innovative design, the right materials and correct production techniques. Choosing Aigle is to take a step closer to nature.